"Coined by Joseph Lesher in 1900 and 1901 at Victor, Colorado. Used in trade to some extent, and stocked by various merchants who redeemed them in goods. Coins were numbered and a blank space left at bottom of 1901 issues, in which were stamped names of businessmen who bought them. All are quite Rare, many varieties extremely Rare." This text was accompanied by a black-and-white photograph of the obverse of a 1900 piece and the reverse of a 1901, and retail valuations in two grades (Very Fine and Uncirculated) for fourteen types and varieties. Joseph Lesher was a character, as one might expect of someone audacious enough to try to mint his own private silver coins in 1900. 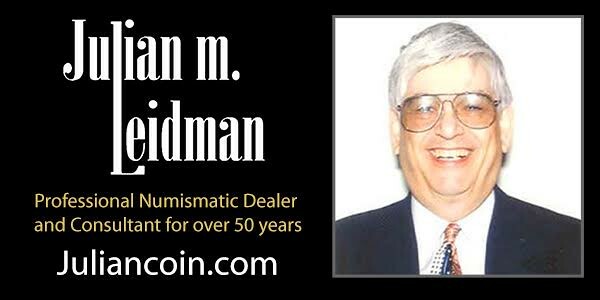 That was more than thirty-five years after the federal government explicitly outlawed private production of “any coins of gold or silver or other metals” for use as money. He was a volunteer Civil War veteran who later tried to milk his military service for as much government pension as he could finagle (claiming “senile disability” and physical ills despite his active engagements in real estate, prospecting, mining, and other endeavors). Thanks, Dennis! 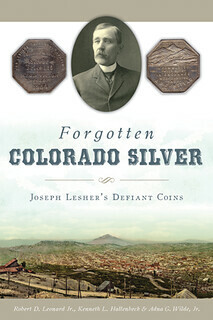 I LOVE the book's subtitle; Joseph Lesher’s Defiant Coins. "Defiant" is a great word. That the Lesher dollars exist is as much about politics as economics. But are these tokens or medals? They indeed have a denomination and were intended for use in commerce. But as Dennis noted they never took flight as an actual private currency. They have much in common with Bryan Money, satirical medals of the day used to fan the flames of political discourse - the tweets and retweets of the day. Here's a shout-out to Bob Kincaid, who as Dennis mentioned laid a lot of the early groundwork for Lesher research, diving deep into the newspapers of the day back in the pre-internet era when this required intense labor in archives and at microfilm readers deep in the bowels of libraries. Bob did similar pioneering work researching issuers of U.S. encased postage stamps, leading to the standard book on the topic by Fred Reed. I was a contributor to that one, working at Fred and Bob's direction at the New York Public Library, the New-York Historical Society, and elsewhere.